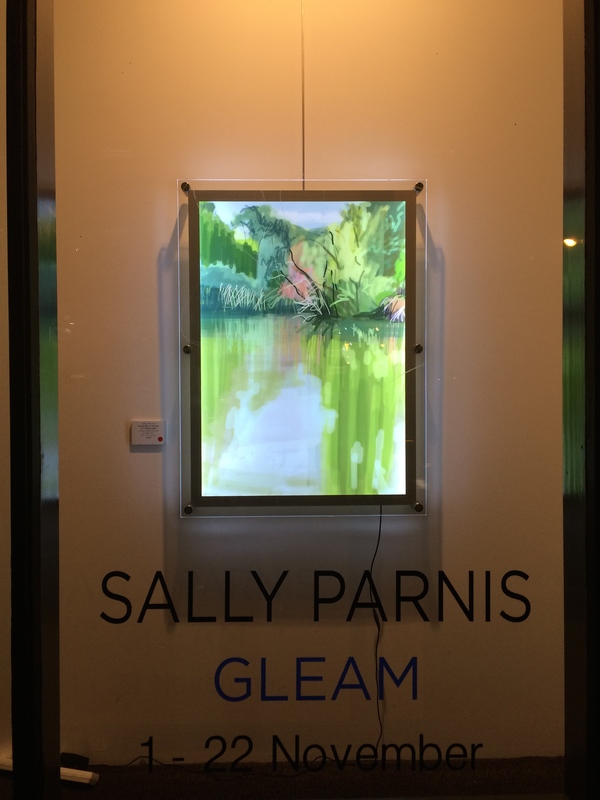 “Gleam” finishes this Saturday, 22nd November at 5pm. It is my current exhibition of drawings and paintings at Hill Smith Gallery, 113 Pirie Street, Adelaide. The gallery is open from 10-5, Tuesday until Friday, and 2-5 on Saturday. My work is upstairs on level 1, and on the ground floor is a beautiful exhibition by Thom Buchanan. I won’t be exhibiting for a while, so if you can get along to see it I’d be really happy! To see images of the paintings click here. The drawings have been shown in light boxes, and I haven’t posted images of them. If you manage to go along, I’d love to know what you thought. “Grounded”, an exhibition by Nic Brown, Cathy Frawley, Sally Parnis and Lyn Wood opens on Friday March 8th at Fisher Jeffries, 1/19 Gouger St Adelaide for the Adelaide Fringe and continues until April 19th. The exhibition will be mounted by Adelaide Central School of Art to publicise the school’s move from Norwood to Glenside. Nic Brown, Cathy Frawley, Sally Parnis and Lyn Wood are four artists who recognize ”landscape” in their work. Their approach to landscape could be described as “immersive”, and the products of their engagement are at once different from, and harmonious with, each other. Landscape becomes not so much a subject for their work as a site for exploration. Each artist translates her lived experience for the viewer. Each in her different way weaves the complex relationship between mind, body and the environment and creates portals for the viewer to share a new experience of what landscape might signify, whether that be home, journey, sensation, poetic space, site for transcendence, or part of a shifting reality. Nic Brown makes evocative and painterly landscape paintings that she often sites in installations of domestic objects. Memories of childhood, tradition and history are triggered by her gently subversive juxtaposition of the interior and exterior. Her work segues beautifully to Cathy Frawley’s sensuous paintings where landscape is a metaphor for the interior world. In Cathy’s work images of the interior and exterior are interwoven indistinguishably, as she speaks of the landscape “becoming” as we move through it. Sally Parnis also seeks transcendence with large scale “abstract” paintings that explore her own mark making amid an uncertain shifting perception of her external reality. She attempts to share the body felt experience of her environment and the conviction that beauty resides in evidence of human connection. Lyn Wood brings years of immersion in, and love for, her natural world to powerful paintings that reduce her complex notions of honouring place and the timelessness of the landscape to silent and evocative works. Her paintings bring the viewer to a refelective place where the perception of the external reveals a link to our own internal world and imagination.